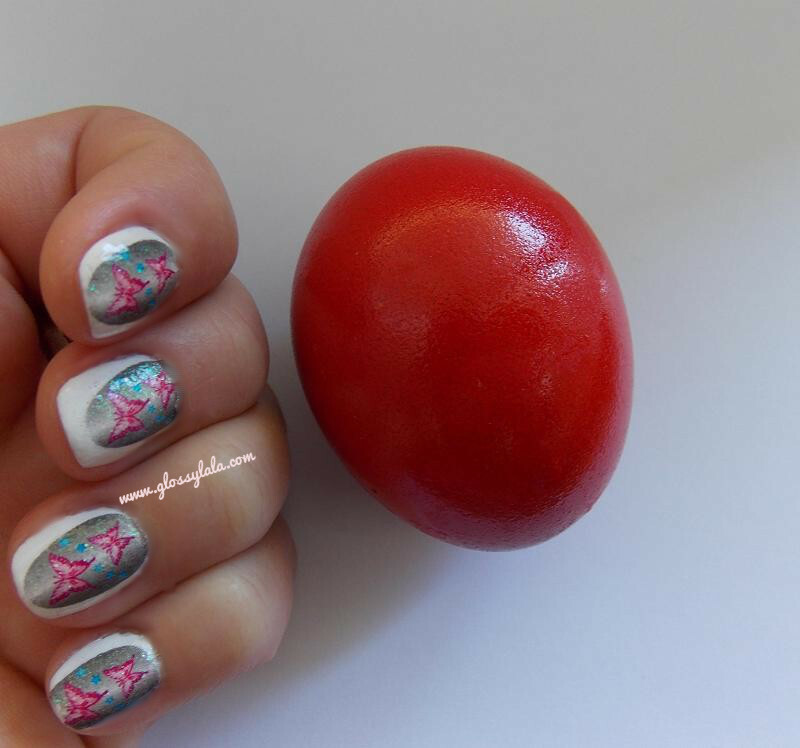 Spring Is Here Mani & Happy Easter! - Be Glossy In and Out! Spring Is Here Mani & Happy Easter! For some people, the Easter is a moment of family`s reunion in which you wish peace and happiness, for others it is a day full of fun in which they forget about job and school and all the stress. For me it is a wonderful day and I want to share it with you. 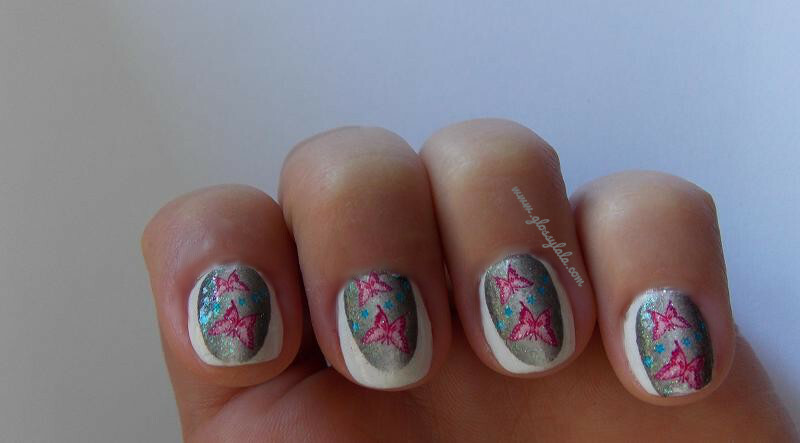 And for being in the holiday atmosphere, I`ve made a special manicure. 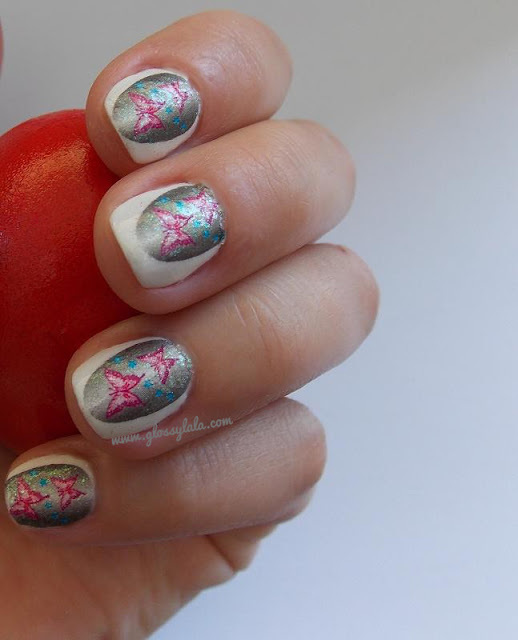 The base color is L`Oreal 001 Snow in Megeve and over it I applied nail tattoos, egg shaped with butterflies. May the Easter day bring LOTS of happiness and joy in your life! How you celebrate this year? The Easter Bunny brought you what you wished for? 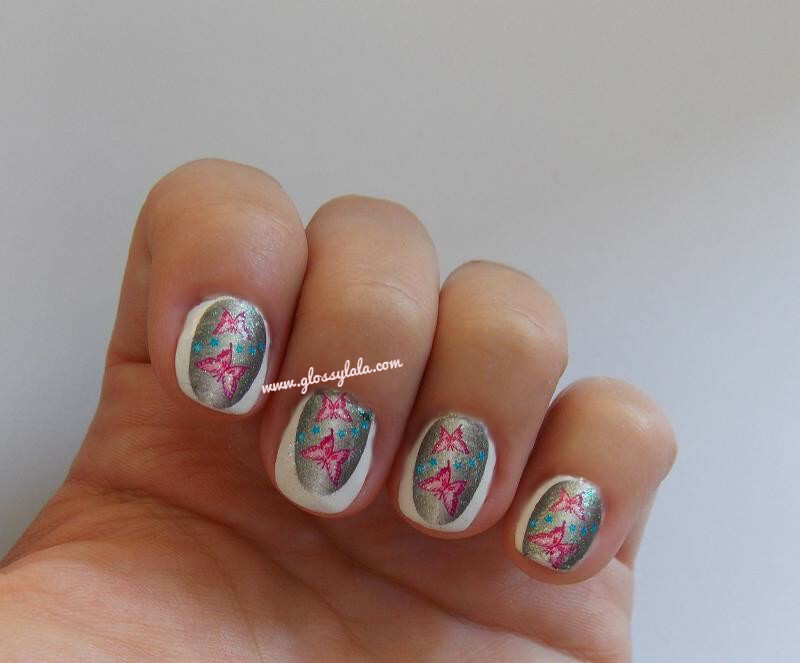 Your nails look so so pretty! Cat de dragut este modelul. Fluturasii sunt asa frumosi. Paste Fericit!